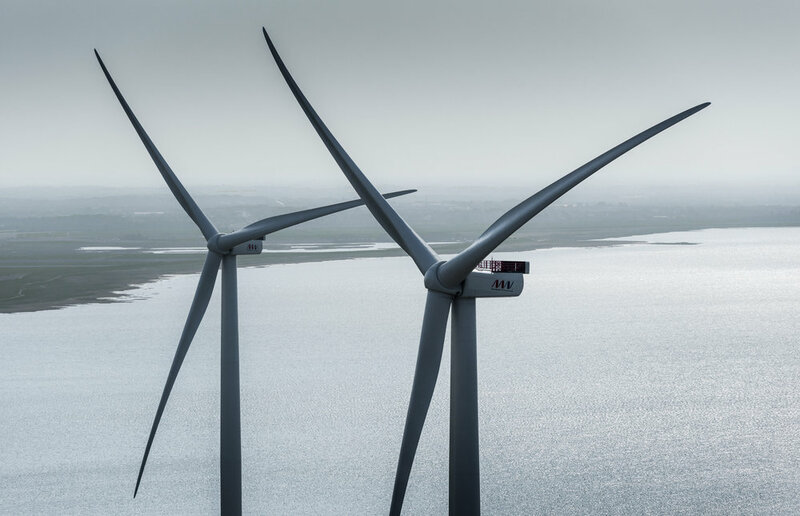 Due to the higher wind speeds that are available offshore compared to on-land, the market and demand for off-shore wind farms has increased significantly during the time of European Energy’s operations. Not only is the electricity generation higher per amount of capacity installed, the overall cost of construction has reduced by more than 50 percent over the last 5 years, making for an attractive business case. In 2016, European Energy was one of the first renewable energy developers in Europe to utilize turbines specifically manufactured for an off-shore wind farm at an onshore site in Jutland, Denmark. European Energy was able to complete the Balance of Plant (BOP) construction phase of the Måde wind farm in just 6 months, ready for our partner and supplier, MHI Vestas to install the turbines. Although the shorter construction timeframe meant there was a certain level of pressure on performance, European Energy was able to work efficiently with both MHI Vestas and the Esbjerg Municipality to deliver a sound project in record time. By constructing the turbines onshore, MHI Vestas was provided with easy access to the site, thereby enabling them to run a variety of tests. The approach with ongoing performance review is enabling hardware manufacturers to drive down the costs of the turbines. The Måde wind farm consists of two 8MW turbines which have the capacity to meet the electricity needs of 18,000 Danish homes per year.